The designers at Go Media are proud to approach each and every project with passion. But we must admit, our ongoing partnership with COSE and specifically, our assistance with the launch of their Warm and Bright campaign, has us feeling all warm and fuzzy inside. Not only did we have a ball coming up with the festive concepts for COSE, but more importantly, we wholeheartedly support the cause behind the designs. 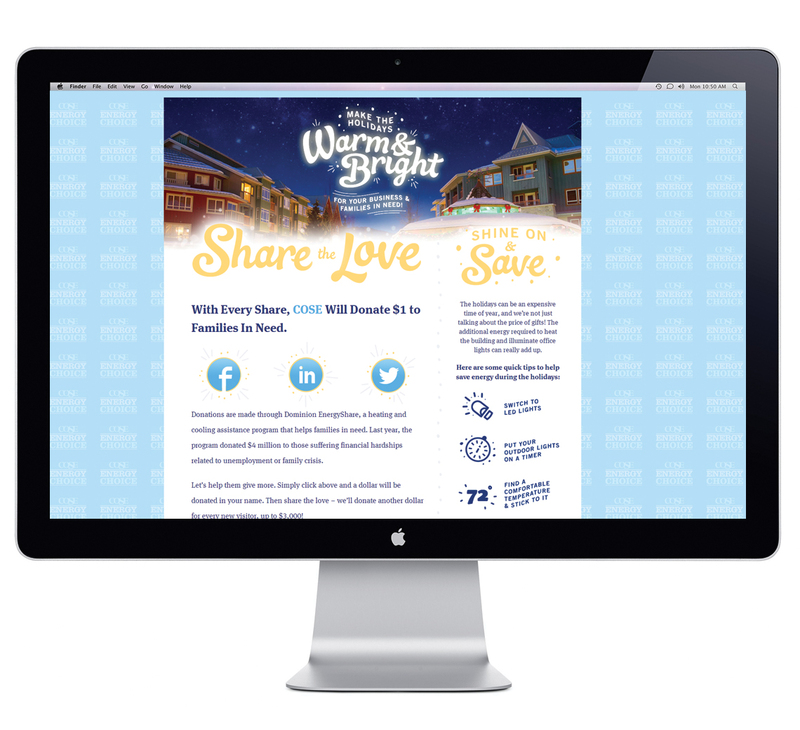 You see, when anyone visits COSE’s Warm and Bright landing page and clicks to share, COSE donates $1 to families in need. The donations, made in each visitors name, will be made through Dominion EnergyShare, a heating and cooling assistance program that helps families in need. Last year, the program donated $4 million to those suffering financial hardships related to unemployment or family crisis. What do you say we top it this year? 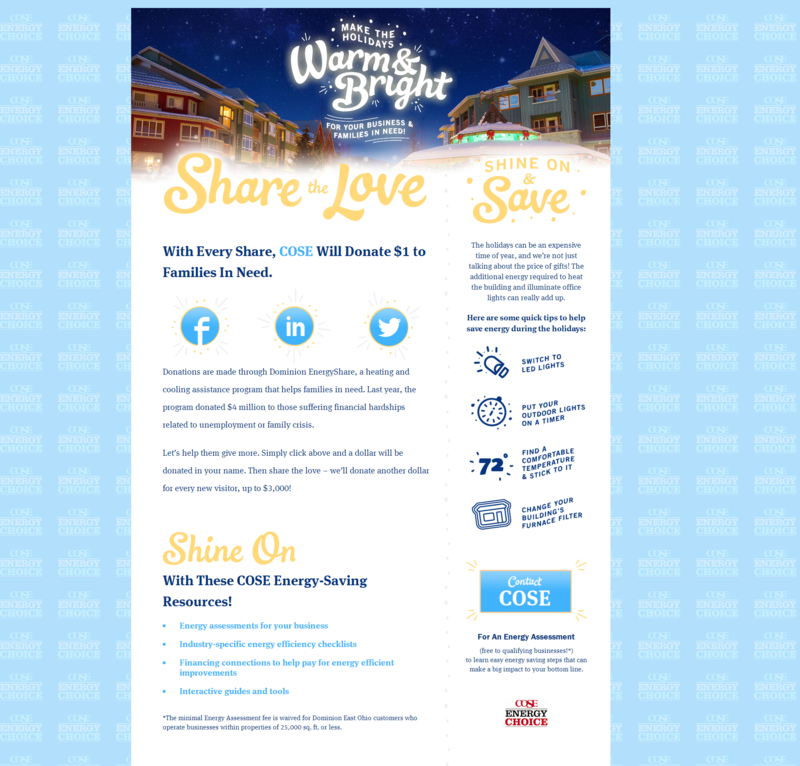 Head to the Warm & Bright site and COSE will donate $1 in your name!